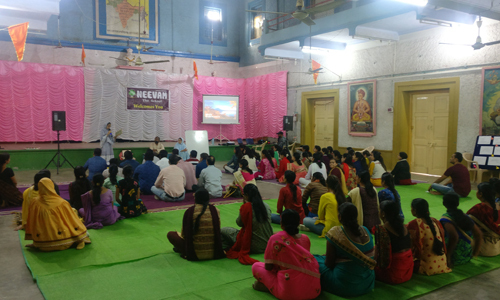 A workshop, titled ‘New Age Parenting for New Age Children’, was conducted for parents and teachers of Neevam—The School on December 13, 2018, at Joshi Hall, Amravati (Maharashtra). Joshi Hall also happens to be the venue visited by Sri Aurobindo during his involvement in India’s freedom struggle and he has even delivered a Talk here. The facilitators of the Workshop included Shivakumar, Director, Sri Aurobindo Foundation for Integral Education and Research (SAFIER), Puducherry; and Riddhi Shah from Mumbai. 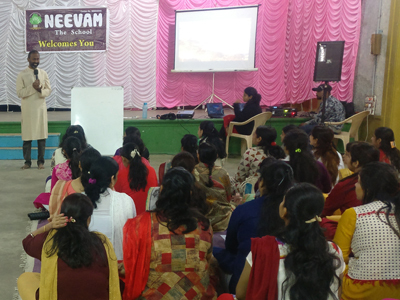 Among the attendees were 60 parents and 36 staff members from the Neevam School. The first session, led by Hardik Kakkad, involved everyone in a rhythm activity to tune them into the spirit. The purpose of the workshop was illustrated via a video, which presented the picture of the rut that we are in as a society and how we are moulding our children to become the same, wrapped up in the garb of modern education. Shivakumar then shared a poem ‘On Children’ written by Kahlil Gibran, followed by a discussion on how we view children and why it is necessary to change our perspective. This was further explored by Riddhi through an activity where a child was correlated to a flower with several petals and how we abuse our children, ignorantly, through verbal or physical violence and discouraging remarks. Shivakumar then entered into the journey that parents map out for their children and what most of the schools provide in the name of education. This was followed by a hard look at the educational content offered by the mainstream schools which is largely designed to satisfy the industrial needs of a bygone era and does not look into the real needs of a ‘Child’. This was made clear through an activity where all the participants were made to write down how much of what they were taught in their schools was relevant to their life. Shivakumar continued to introduce through words and activities how parents and teachers can work on the real needs of children through an Integral Education approach and hence help the little ones bloom into what they are meant to be. 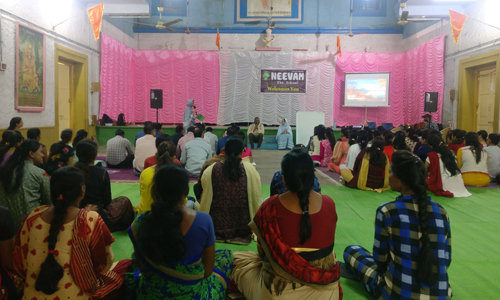 He also spoke about the ideals behind it and how it is being incorporated at Neevam. 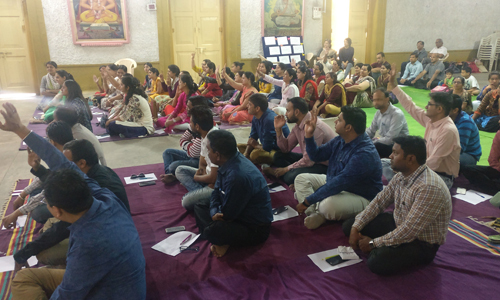 The workshop concluded with a short meditation through which the audience were asked to recall that one best teacher of theirs whom they still remember and the reason they were so fond of that teacher. The floor was then opened for discussion and Shivakumar addressed the questions coming from parents and teachers.